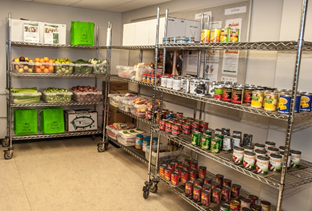 Food assistance is available for students and non-student members of our community in need. SparkPoint at Cañada College partners with the Second Harvest Food Bank to provide this service. To make an appointment, please contact SparkPoint at Cañada College at 650-381-3550.